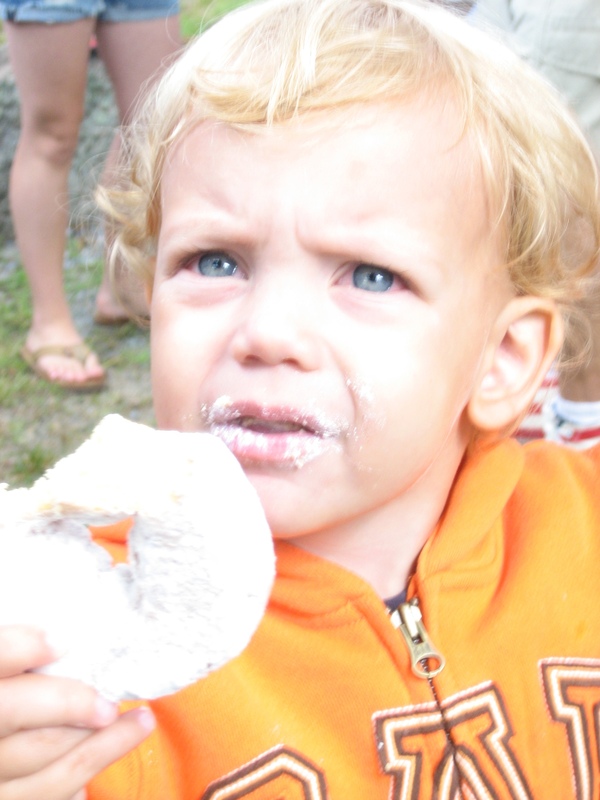 July 4th at the cape is filled with races, games, egg tosses and my personal favorite the doughnut eating contest. The catch is the eating contest is for the 4 year old and younger age group. Champe did his best. He actually ate the whole doughnut, however it took him most of the morning. We will start training for next year soon. He has to live up to the Whale name!